Welcome to Danny’s Fins and Hens! Are you looking for reliable and high quality catering services in Lubbock or the surrounding areas? Look no further! At Danny’s Fins and Hens we can provide you with all kinds of catering services at very low prices. 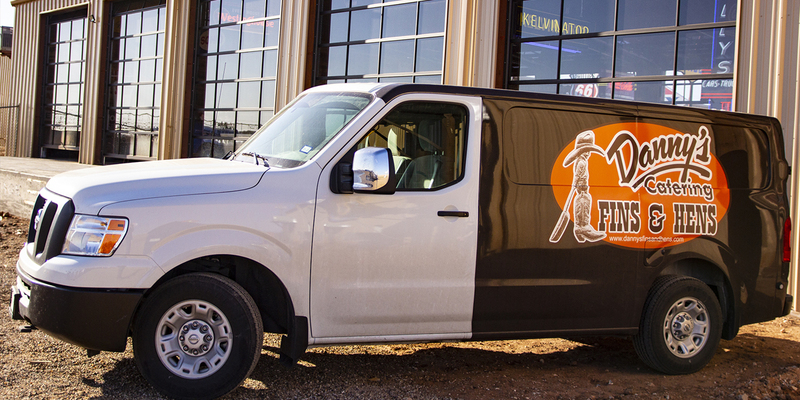 We are one of the best catering companies in Texas and have been serving the people of Lubbock and nearby areas since 1982. We also offer professional wedding catering and have a reliable staff of caterers to serve you and your guests for any event. We have been serving the local area for over 30 years and have the experience to meet any kind of catering or wedding requirements. We work through 3 mobile kitchens and 2 food catering vans to make sure that you get fresh and high quality food. We have a number of menus for you to choose from, and we can also make substitutions or customize it to meet your needs. If you’re looking for a place to host your event, we can help you with that as well. We have beautiful banquet rooms located at Koko Palace which can be viewed on our site. We can also provide you with any equipment and accessories you need for your event.